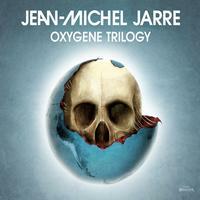 Forty years after the huge international impact of Oxygene, and 20 years from its second volume Oxygene 7-13, Jean-Michel Jarre is fulfilling a trilogy of albums with Oxygene 3, containing seven newly composed and recorded pieces, consistently titled parts 14-20. This release brings together Jarre's three pieces of futuristic mastery together in one place facilitating an exciting journey through modern electronica. This Oxygene Trilogy ultimate edition contains CDs of the albums, as well as clear vinyl and an exclusive coffee table book. The book contains pictures and a brief description of the various recording equipment (studio tape recorders, master SSD and tapes, DAW software, etc.) and musical instruments (organs, synthesizers, drum machines, VST plugins, etc.) used to record the three albums in the Oxygene series. "...The idea was not to copy the first album, but rather keeping the dogma of embarking listeners on a journey from beginning to end with different chapters, all linked to each other. "What made the first Oxygene so different at the time, is probably the minimalist aspect, and the fact that there are almost no drums, and I wanted to keep this approach, creating the groove mainly with the sequences and the structure of the melodies only, through an architecture of sounds.